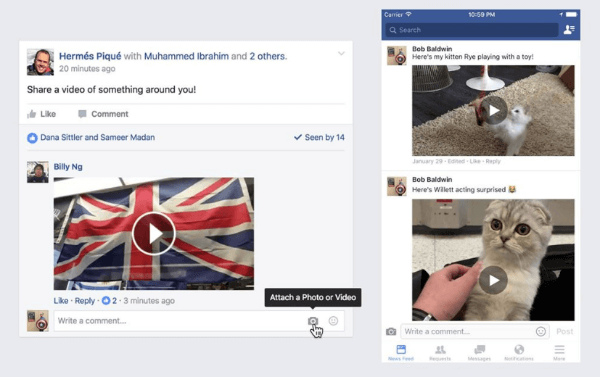 Facebook Rolls Out Video in Comments Worldwide: Facebook announced that “videos in comments are now available worldwide! You can upload them as replies to posts by people and pages, as well as within groups and events. It’s supported on desktop web, iOS and Android.” This feature can be accessed by clicking the camera button in the comment field. Twitter Makes Embedding Twitter Timelines Easier: In March 2016, Twitter “upgraded the embedded timeline to a modern new design that beautifully showcases Tweets across your desktop and mobile sites.” This past week, Twitter announced that it’s “made it easier than ever to add these rich, responsive Tweet displays directly to your website or CMS.” Rather than needing to create timeline widgets for their accounts, users can customize an embeddable timeline display on Twitter Publish and simply copy and paste the code into their website. Facebook Rolls Out Support for 360 Photos on the News Feed: “For the first time, you can now easily share 360 photos on Facebook. Simply take a panorama with your phone or capture a 360-degree photo using a 360 photo app or 360 camera, and then post it on Facebook as you would a normal photo. 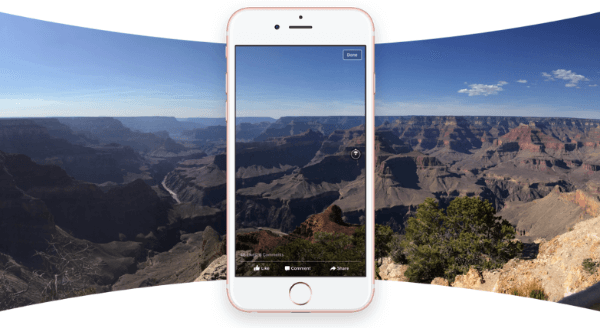 From there, [Facebook will] convert it to an immersive 360 photo that people can explore, similar to how people experience 360 videos on Facebook.” Support for 360 photos is now available worldwide on the web and the latest versions of the Facebook app for iOS and Android. In this blab from Friday, June 10, 2016, Mike Stelzner and guests discuss the top news in social media. Topics include changes to Facebook’s text rule for ad images (1:58) and updates to Snapchat (17:55). Subscribe to future shows here. Instagram Adds Easy Share Feature to iOS: Instagram’s latest Version 8.2 update for iOS includes “the ability to post directly to Instagram from Photos or other iOS apps.” The Next Web reports that “users can select an image from Photos (or elsewhere) and use the share menu to post directly, even adding a caption in the process” without having to open the Instagram app. Foursquare Rolls Out Swarm Challenges: Foursquare’s new Swarm Challenges offer users “the chance to participate in challenges throughout the summer… [and] win some of the world’s coolest experiences, like trips, photography gear, concert tickets, stellar seats at a baseball game and more!” Swarm will send notifications whenever a new challenge is launched. 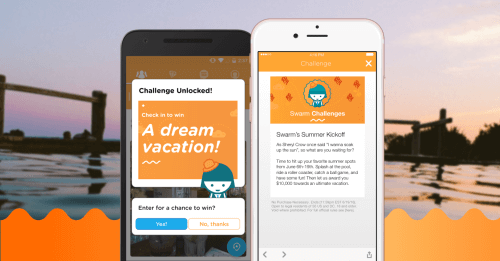 Once the challenge is completed, the user will be automatically entered to win a prize. Swarm Challenges are currently only available in the U.S.
LinkedIn Introduces Premium Insights: LinkedIn Premium subscribers now have access to Premium Insights, a new feature that provides “unique and timely data about the companies that interest you – their growth as well as hiring trends by function.” According to LinkedIn’s official company blog, these new company insights are currently only available with Business Plus, Sales Navigator, and select Talent Solutions subscriptions. Twitter Redesigns Twitter for Android: Twitter introduced “a new look and feel for Twitter for Android – a redesigned app that aligns with the best of Android.” The updated Android app makes it easier to move among the different sections of Twitter and features a floating action button “so you can always easily send a Tweet.” This new Twitter for Android experience is rolling out globally. Tumblr Adds GIF Button to Messaging: Tumblr rolled out a new GIF button that’s “especially useful for starting conversations, ending conversations and as word alternatives in the middle of conversations.” Simply open a conversation in Tumblr’s messaging feature and click on the GIF button to add an image to your conversation. Facebook Adds “Hide From Your Timeline” Feature: CNET reports that Facebook is testing a new feature that allows users to post a status update to the news feed without it ever appearing on their timeline. This option is helpful when posting “a quick question for some of your Facebook friends or a spur-of-the-moment status update you’d rather didn’t remain after the fact on your Timeline.” This new feature is currently only available for Facebook on the web, but not on its mobile apps. Facebook Introduces “Notify a Few Friends About This Post” Feature: “Facebook is running a ‘small test’ of a feature that would allow users to send certain friends notifications about posts they might be interested in.” AdWeek reports that this new feature offers a “more discreet option to alert [certain friends] of your post by sending them a notification” beyond tagging them in your status update or in the comments. Facebook Runs Payment Tools Trial Within Facebook Pages: TechCrunch reports that “Facebook is expanding its focus on payments with a new trial in Southeast Asia that allows users to pay for products listed on Facebook Pages with just a few clicks.” Facebook is running this limited test in Thailand with Southeast Asia–based fin-tech company 2C2P. 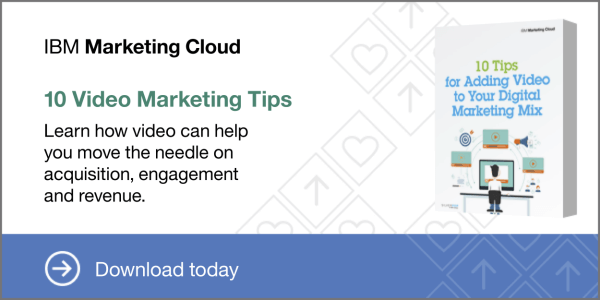 Listening, Segmentation, Automation: 10 Marketing Tips: Your customers are being bombarded with hundreds of marketing messages every day. Fighting for your share of attention requires the perfect combination of careful listening, smart segmentation, and timely automation. Learn how you can maximize your efforts in these areas. Get your copy today! New research: The Value of Influencers on Twitter: Twitter partnered with marketing analytics provider Annalect to examine how influencers on Twitter are driving users’ purchasing decisions. The research shows that users who are exposed to branded tweets experienced a 2.7x lift in purchase intent over participants who did not see an advertiser tweet. 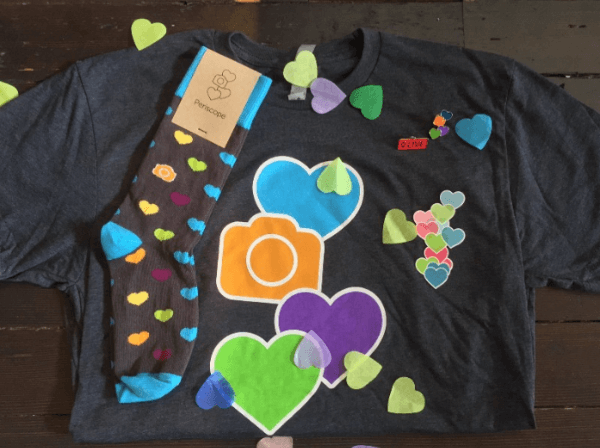 When participants were exposed to a campaign that featured both brand and influencer tweets, the lift in purchase intent more than doubled to 5.2x. In terms of product recommendations, 49% of those surveyed say that they rely on the input of influencers. This is second only to recommendations from friends, from whom 56% of those surveyed sought guidance. Promoted Pins Drive In-Store Sales: Oracle Data Cloud measured in-store sales for 26 promoted pin campaigns across major consumer brands. The research shows that promoted pins drive 5x more incremental in-store sales per impression in comparison to ads elsewhere. Also, those who engage with promoted pins are 12% more likely to buy from that brand. The study also reveals that Pinterest tends to attract high-income consumers who spend 16% more on consumer packaged goods than the national average. Media Companies’ Facebook Reach Has Fallen 42% This Year: According to a recent study done by SocialFlow, Facebook publishers have seen a 42% drop in reach per post from January to May 2016. The report attributes this sharp decline to a major revision to the Facebook algorithm and suggests there’s little that publishers can do to offset this trend beyond experimenting with different types of content and being aware that algorithm shifts will continue to occur. Have you checked out the updated Discover and Stories pages on Snapchat? 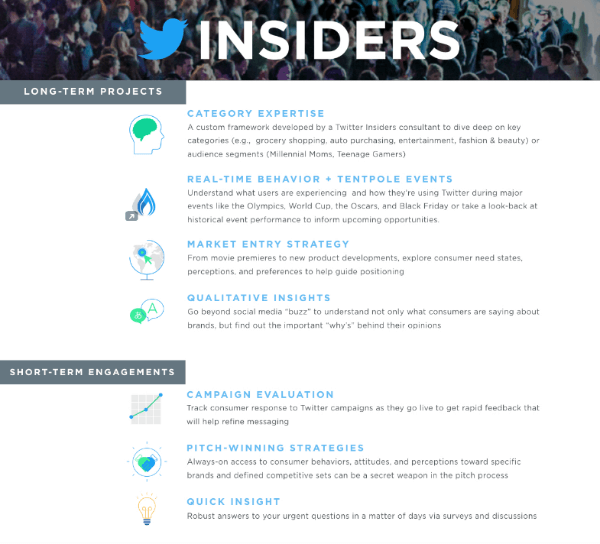 What do you think of Twitter’s new Insiders feature? Please share your comments below. 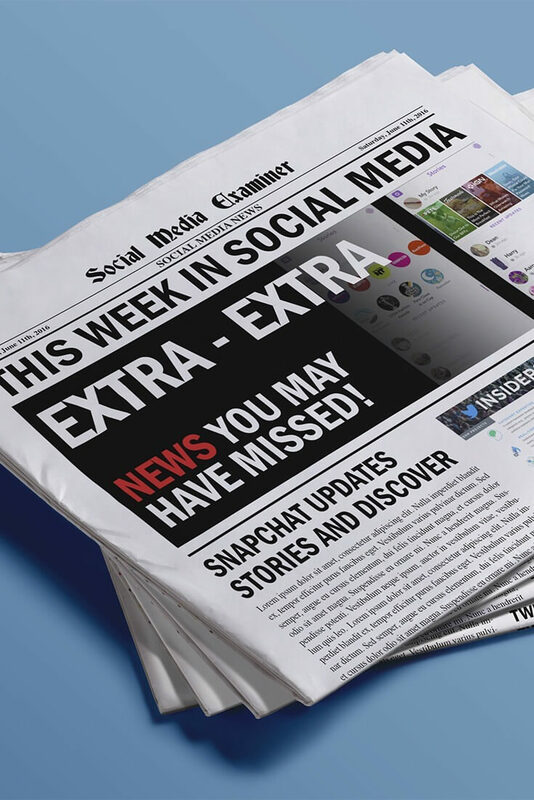 Snapchat Makes Content More Discoverable and other social media news for June 11, 2016.